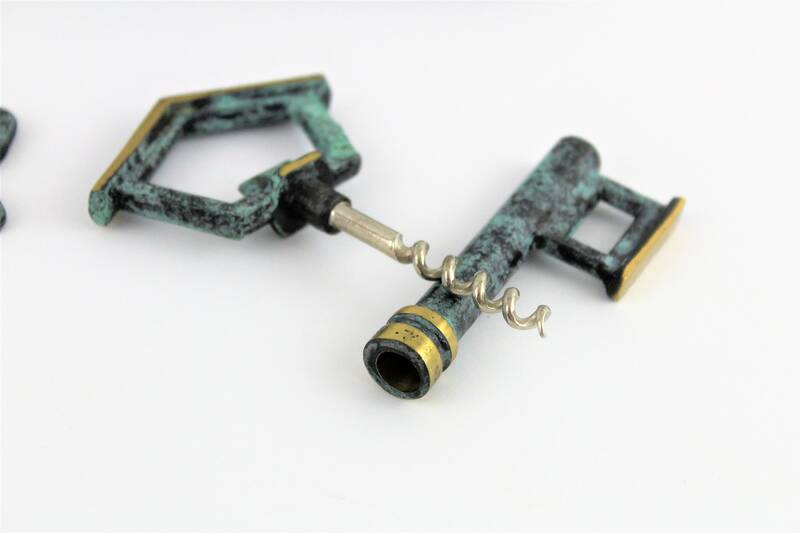 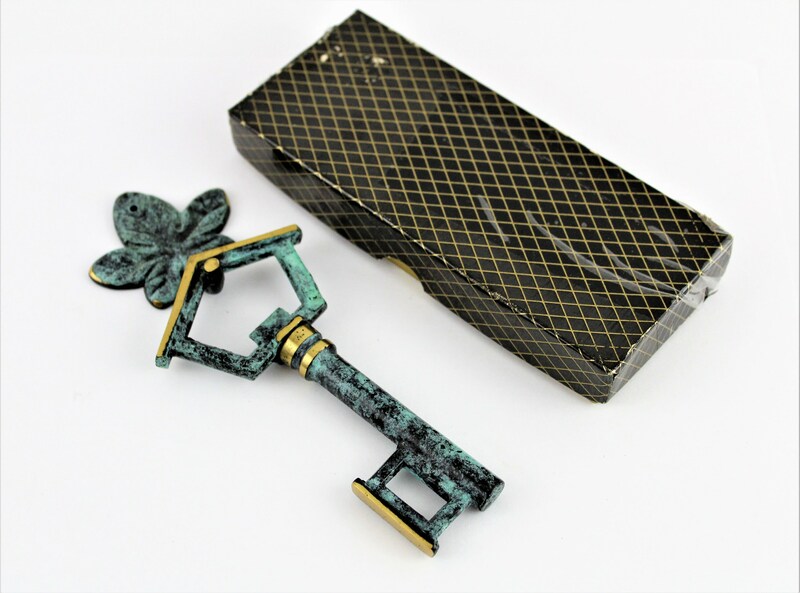 Wonderful play on designs this key with a house as its handle has a hidden little treasure pull the key apart to reveal a hidden corkscrew. 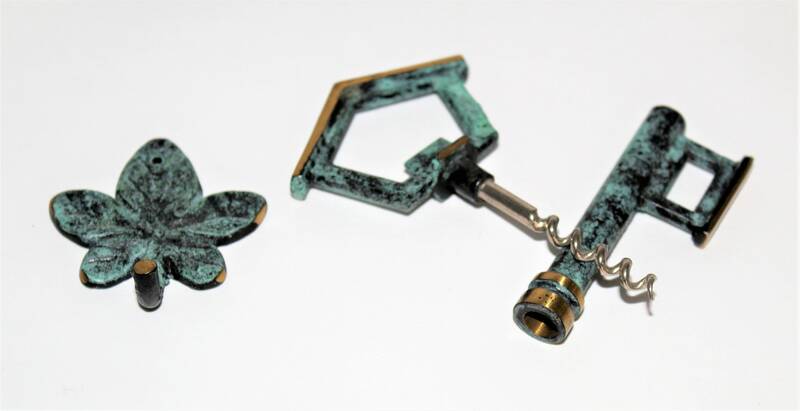 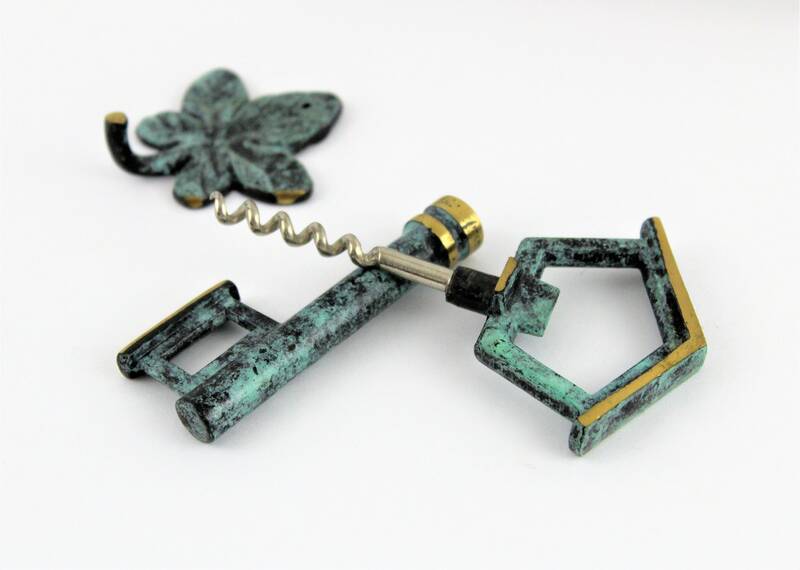 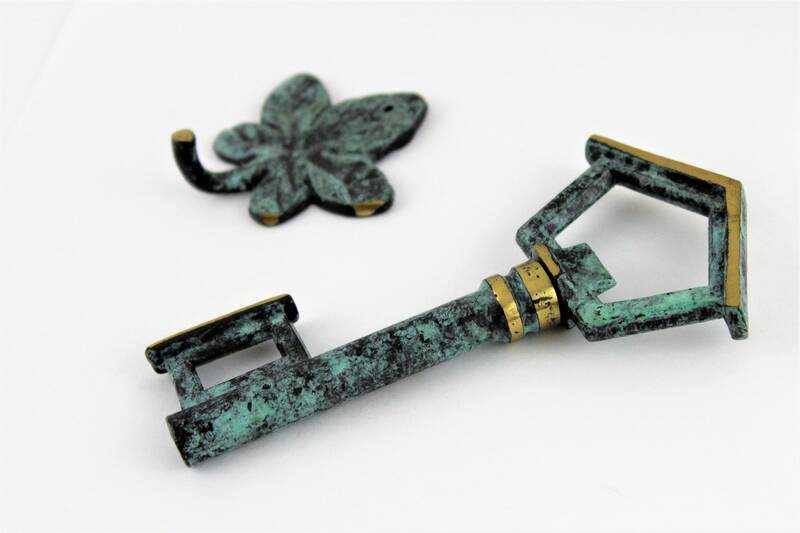 This is made of brass with an aged finish applied and the corkscrew is made of steel and comes with a leaf shaped hanger to attach to the wall, so you always know where the corkscrew is. 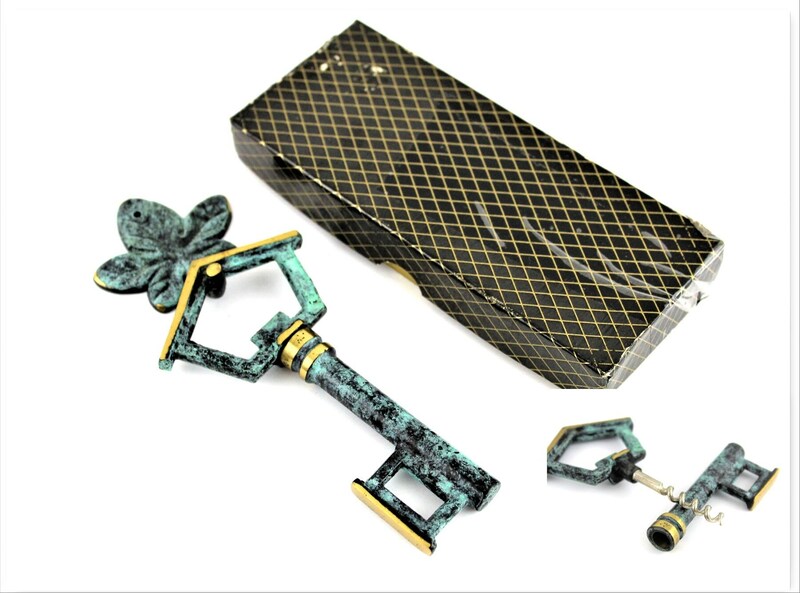 Will make a wonderful gift.